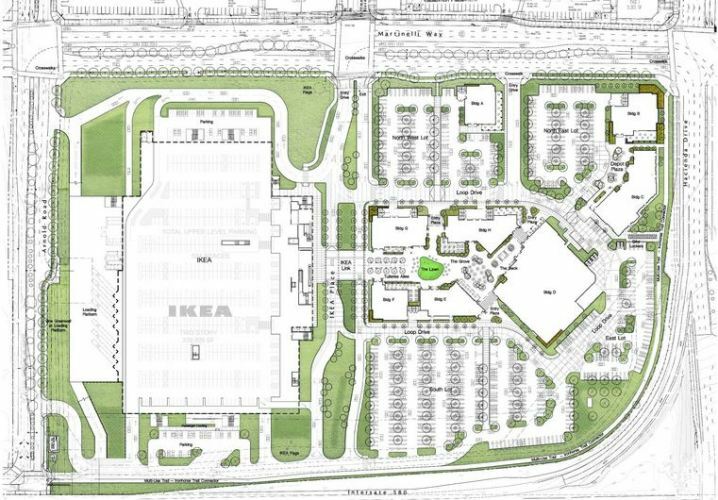 Last week the Dublin, California City Council approved the latest proposal by IKEA. This is the second time that an IKEA has been approved in Dublin. I remember years ago when it was previously approved. Because of a downturn in the economy IKEA decided not to build and sold the site. However, they later bought the site back and put together a new proposal. Here is an overhead view of where the IKEA will be built. It is the large open field near the center of this screen shot from Google maps. It will be across the street from Persimmon Place which includes Whole Foods and also across from the Hacienda Crossings Shopping Center. It will also be close enough to my office that I could walk there during lunch to have some Swedish meatballs. However, it will not be anytime soon as I have read that they will not start construction until 2020, which will probably lead to an opening in 2022. The project will include the large IKEA store with underground parking as well as eight other buildings for restaurants and retail. The image above is from the Dublin City Development Site. The entire project is know as The Glen at Dublin and features a lot of open space around the retail/restaurant buildings for a pedestrian friendly experience. There was a lot of opposition to having a large blue and yellow building, so IKEA reduced the amount of colored areas on the building. It will be interesting to see how it looks when it is finished. This IKEA will be the third in the Bay Area and the fourth in Northern California. It will draw customers from a large area and there are a lot of concerns about traffic. Thankfully IKEA does not open until 10:00am so it will not have a large effect on the morning rush hour. 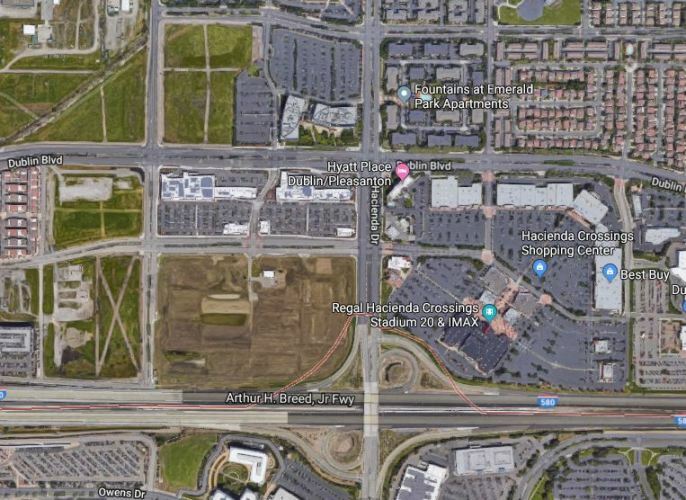 The IKEA will also be very close to the Dublin/Pleasanton BART station. This was brought up many times by the opposition as they called for the site to be used for offices since the workers could commute by BART. However, I believe that the IKEA will also have many customers who will use BART. Especially on the weekends when offices would be closed. It will be the only IKEA in the Bay Area that is close to a BART station. Many Bay Area residents, especially those without cars, will take BART to the IKEA to browse the showroom and then have their large purchases delivered. It is easy to shop on-line, but many people want to see furniture in person to feel the textures, see how it looks from different angles and assess the quality of the materials. With the restaurants in the project IKEA shoppers can also spend a nice afternoon or evening having a nice meal before returning home on BART. 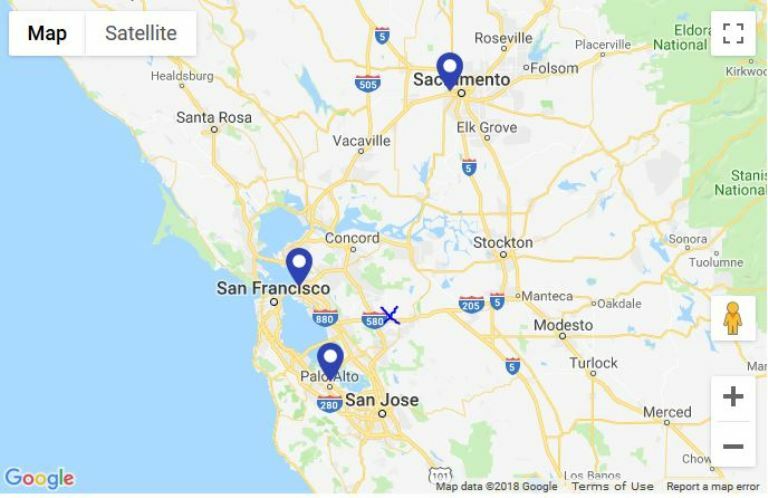 Of course, people coming from the Central Valley will not be able to use BART, but Regional Rail will eventually connect the Central Valley to BART at the Dublin/Pleasanton station. I of course will probably post some pictures once they start construction. This entry was posted in California, Construction, Local and tagged Approval, BART, Dublin California, IKEA, restaurants, shopping, The Glen at Dublin. Bookmark the permalink.